Foam Tray for tall or long miniatures on 25 mm bases. 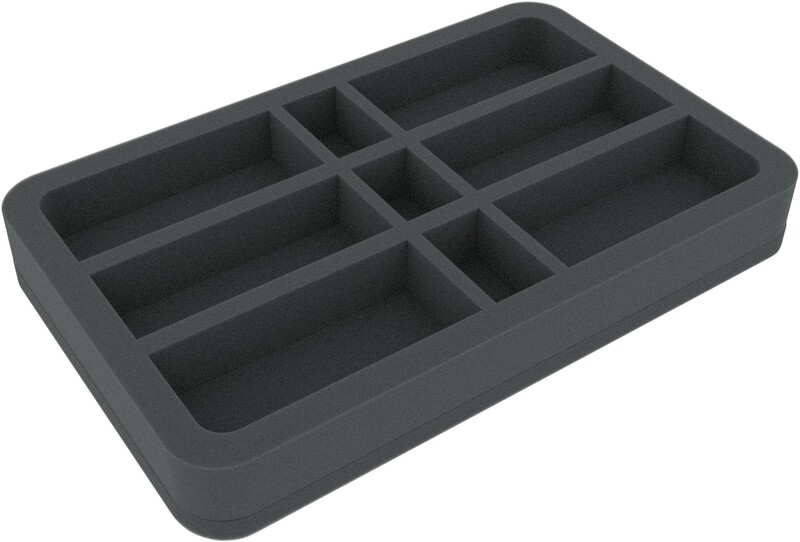 The 35 mm depth of the foam is result from 10 mm foam base and slot foam tray with 25 mm effective depth. 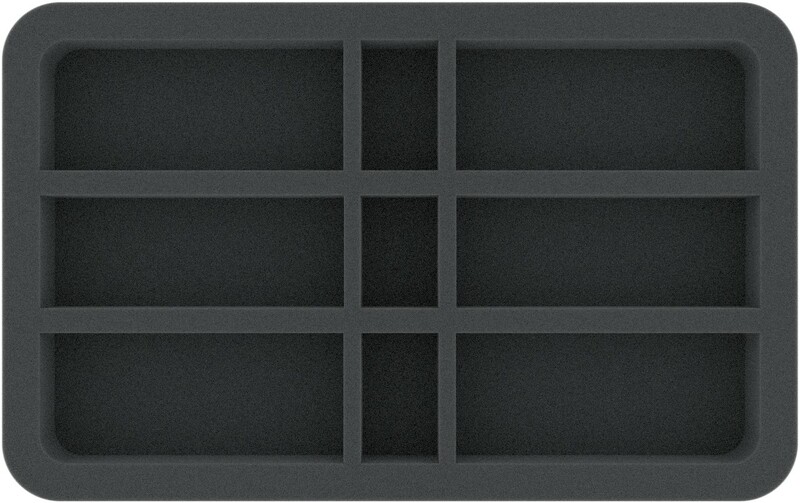 The half-size foam tray fits into our Feldherr bags, hard cases, backpacks and storage boxes.